Finally, brothers and sisters, we ask and urge you in the Lord Jesus that, as you learned from us how you ought to live and to please God (as, in fact, you are doing), you should do so more and more. For you know what instructions we gave you through the Lord Jesus. For this is the will of God, your sanctification: that you abstain from fornication; that each one of you know how to control your own body in holiness and honor, not with lustful passion, like the Gentiles who do not know God; that no one wrong or exploit a brother or sister in this matter, because the Lord is an avenger in all these things, just as we have already told you beforehand and solemnly warned you. For God did not call us to impurity but in holiness. Therefore whoever rejects this rejects not human authority but God, who also gives his Holy Spirit to you. The cry for justice rings out across the world. You have to stuff your ears to keep from hearing it in our ever-globalizing world. Those who yearn for justice in their own life often feel that justice left undone in their lives comes at the fault of the rest of the world… but it is hard to lay the responsibility upon every single person and thing that crosses our path (though some try), so more often, we opt for the second best option of blaming God, or so we like to think. If you take a long view though, it is kind of ironic that God, the one we sometimes choose to blame for injustice in the world, created this world perfect. Even if we get really nitpicky and claim that it wasn’t perfect, because there was one initial problem with the world: that man was alone… God took his time and made man and woman one at a time instead of just both at once (or did He? and because of that there was a waiting period on the world’s perfection. Again, it’s easier to blame God than to look at the bigger picture. Brokenness was not caused by God, it was caused by human beings. Both of them. They both hid after they took something they were asked not to take by the one who knew the garden and themselves better than any mind in all creation. Humanity transgressed and broke everything – and it was God who made the first call for justice in our world! And He has not been repaid yet. We continue to sin, day in and day out, stepping on each other, breaking each other, and the world around us, and it was never ours to break. If God implemented the “you break it, you buy it rule” we would not be able to pay. Literally. We don’t even have the right currency to redeem our world, to make things right. 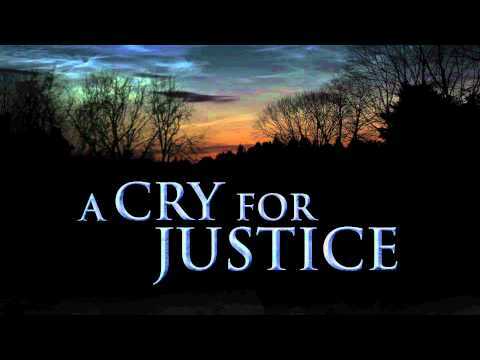 What is your cry for justice? What responsibility do you take for injustice in the world? What can you do today to make a difference for the better? What help will you need?